Contra Costa Water District Is HIRING! Emergency procedures could save the day! The writing is on the wall. 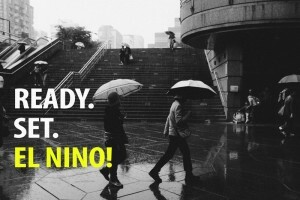 The 2015 El Nino is supposed to set California records. Whether you want to believe the weather man or not, offering a cold shoulder is certainly not advised. In 1997, the effects of El Nino were gruesome. We saw several school suffer massive water devestation among their campuses. And two of my beloved colleagues barely escaped Laguna Beach, California with their lives. The water on the PCH was overcoming their vehicles. Like most School Risk Managers, you are wondering what can we do to be prepared for the worst case scenario. Below is my recommended action plan for your district. And as they say in the business world – you better get busy! First and foremost you should identify which staff are going to respond when the rains begin. What types of shifts will they need to work and where do they need to report. Next begin the training. Don’t surprise your staff the day the rain begins, let them know now that you will need them and what is expected of them. Whether we are talking about roofs, windows or doors, you need to get patching. Cover up any of those holes and areas that are prone to leaking during rain. Trying to patch holes while El Nino is raining buckets is not a good plan. You should also check all the seals around windows to ensure they are in tact and able to withstand the amount of water they are going to see. One of the big issues during El Nino is where the water goes. I am originally from Missouri and they see a lot of rain often. California generally doesn’t. And that means that California’s sewer systems are not as well equipped to handle the volume of water it will see. It is a good idea to review your City’s sewer cleaning program – that means jetting and tv’ing schedules. These should be performed on a 3-year cycle, so if you see that it hasn’t been done, you can bet that you are likely to see problems. And that means that water is most likely going to backup onto your property. So urge your City’s public works departments to get cleaning. You should also clean (jet) your sewers to ensure that the lines are free of obstructions and the water can flow. I would also recommend that remove any debris from the drains, drain grates and the surrounding areas. It is a good idea to get rid of silt and sand too. Speaking of trash, if you have any lying around your campuses now is a good time to get it picked up. It will find its way to the sewers and that spells only one thing – trouble. If you have them, now is a good time to clean them out. Getting the water to flow is the primary objective. Backups on roofs spell trouble in more than one way. Water is heavy (8lbs per gallon) and putting that kind of weight on your roof typically ends in collapse. If you have a clarifier at your transportation yard, now is a good time to have it emptied and cleaned. Again, flow is important and overflow is trouble. It is also a good ideas to review your hazardous material storage areas to ensure that drums and tanks are not leaking. If you have low spots on your campus, these are certain to collect water. Often, I have seen classrooms that sit lower than the surrounding yard. Water will find its way into these low spots and that means your classrooms will be lost. If you need them, identify the closest drain and get your sump pumps ready. Know how much hose you need and practice setting it up. This will force the water to the street and keep your classroom water-free. You should also prepare some sandbags to deploy in front of the classroom as well. We have been in a drought – surprise! Know your surrounding areas and review the possibility of earth movement. You may want to aerate the hill and grounds to help water soak in. This can be done with earthworms and other non-traditional methods. Talking about cleaning out sewers and gutters, there is another area that you should be concerned with. And that is the waterways in around your property. Just ask Riverside College. There was a creek that ran behind their property which they did not own. It hadn’t been cleaned in years. You could find beds, stoves and massive downed trees. During the big rains, all this stuff floated downstream, clogged the pipes and caused water to overflow onto their campus. Ask the property owners to clean out their waterways. There are several plans that you need to be familiar with. The Storm Water Prevention Plan (SWPP) is the key plan here. Know it and live it. You should also review the district’s emergency plans and know your role. Get your list of vendors ready. This may include restoration companies, insurance carriers and even FEMA experts. And if there is one guy that I would say to put on your list right now, it is Jerry Quinn – a serious FEMA expert that you can’t afford not to have. Jerry (on Twitter) and I have worked on several of these issues in the past with great success. Put his number in your phone.